Enforcing this agreement is union business. Therefore, it is critical that members alert their Shop Stewards or Business Agents if they believe a contract violation has taken place. Moreover, management cannot legally change the contract language without negotiating with the union. 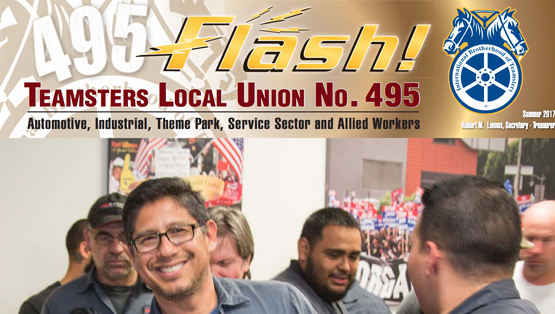 Winning a fair and equitable contract takes teamwork between Local 495 and the members in the bargaining unit. Members make proposals, support the negotiating team and vote on the final agreement. YOUR CONTRACT LANGUAGE LETS EVERYBODY KNOW WHERE THEY STAND. Know Your Contract. Request a copy from your Business Agent. If you think management may have violated your rights, or have any questions or problems at work, tell your Shop Steward or call your Business Agent.